Yesterday I linked to Bill’s latest market overview called, Let’s Get Fisical,but it is so good I want to make sure you read it by providing an excerpt. 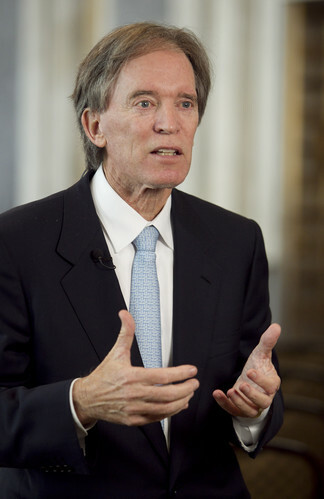 “If 2008 was the year of financial crisis and 2009 the year of healing via monetary and fiscal stimulus packages, then 2010 appears likely to be the year of “exit strategies,” during which investors should consider economic fundamentals and asset markets that will soon be priced in a world less dominated by the government sector. If, in 2009, PIMCO recommended shaking hands with the government, we now ponder “which” government, and caution that the days of carefree check writing leading to debt issuance without limit or interest rate consequences may be numbered for all countries…. “if exit strategies proceed as planned, all U.S. and U.K. asset markets may suffer from the absence of the near $2 trillion of government checks written in 2009. It seems no coincidence that stocks, high yield bonds, and other risk assets have thrived since early March, just as this “juice” was being squeezed into financial markets. If so, then most “carry” trades in credit, duration, and currency space may be at risk in the first half of 2010 as the markets readjust to the absence of their “sugar daddy.” There’s no tellin’ where the money went? Not exactly, but it’s left a suspicious trail. Market returns may not be “so fine” in 2010. Previous Post The Financial Inquiry and more…..